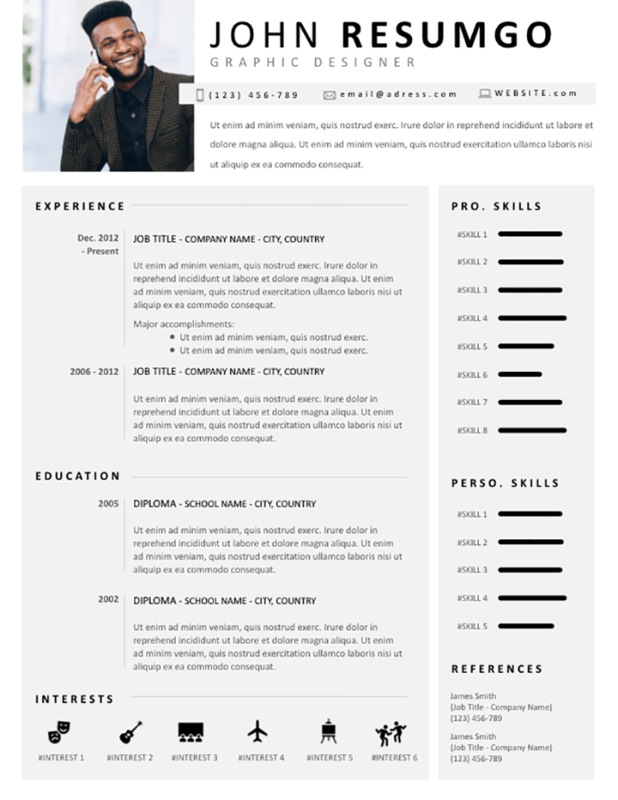 Telamon is a free professional resume template, with an efficient 2-column structure design and a grey background. A clean full-width white header for your primary information: name, job position, personal and your profile/objectives. Follows a two-column layout on a gray background: the left main part embeds your professional experience, education, and interests (with black icons). The right column highlights your skills, thanks to bar charts, and your references.